Map of the potential distribution of archaic hominins, including H. erectus, H. floresiensis, H. neanderthalenesis, Denisovans and archaic African hominins, in the Old World at the time of the evolution and dispersal of H. sapiens between approximately 300 and 60 thousand years ago. Archaeological and palaeoenvironmental datasets from the Middle and Late Pleistocene eras have come under critical review in the recent collaboration between the Max Planck Institute and the University of Michigan. Hominin movement and biological development within and beyond Africa proves our species’ ability to occupy diverse and ‘extreme’ settings around the world. This could well explain how Homo sapiens became the last surviving hominin on the planet. Previously, it was thought that early homo sapiens had stayed close to the coast or savannahs, not infiltrating extreme environments until around 15,000 years ago. But this new evidence has shown humans were in tougher climates far earlier, affecting the debate over what it means to be human – as a Homo sapien, at least. “So much focus has gone into finding the next artwork, the next fossil, that in the search for a sort of ‘modernity’ as it is often put – other fundamental elements were neglected,” says Dr Patrick Roberts from the Max Planck Institute for the Science of Human History. Under this new theory, investigations into what separates Homo sapiens from our ancestors would shift away from attempts to uncover the earliest traces of art, language and technological complexity. They’d move, instead, towards understanding what makes our species ecologically unique. In contrast to other hominins, our species not only colonised environments as varied as deserts, tropical rainforests, high altitude settings and the palaeoarctic, but also flourished in these extreme conditions. Looking at our ancestral ecologies, we know that the genus Homo is highly diverse. Although often given the blanket name of ‘human,’ both academically and colloquially, using one term is certainly deceptive. There were a range of Homo species, all of which comfortably developed to reflect their surroundings. Homo erectus and Homo floresiensis (also known as ‘the Hobbit’) are thought to have occupied resource-scarce tropical rainforests from 1 million to 100,000 and 50,000 years ago respectively. The Neanderthals (Homo Neanderthalensis) occupied the high latitude areas of Eurasia between 250,000 and 40,000 years ago. To some extent, they backed themselves into an ecological corner, by only developing hunting skills in specialised environments. What is the difference between ‘humans’ and Neanderthals? While it might seem like there were gulfs between Homo sapiens and Homo Neanderthalensis, it would be remiss not to point out that the Neanderthals were our closest hominin relatives. 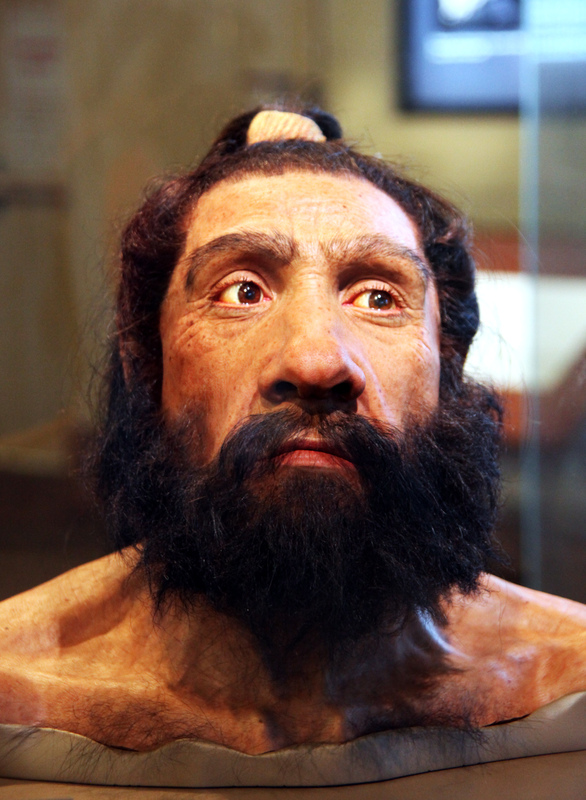 In fact, Homo Neanderthalensis shares 99.7% of DNA with Homo sapiens. The history, appearance, intelligence and behavioural similarities and differences between the two are explored by Daryl Worthington on the New Historian – click here to read more. In contrast to the rest, Homo sapiens had spread to higher-elevation niches by around 80-50,000 years ago. By 45,000 years ago, the species was rapidly colonising both palaeoarctic and tropical rainforest conditions in Asia, Melanesia and the Americas. In order to decipher how our species demonstrated its colonising capacity elsewhere in places like northwest India and the high elevations of Tibet and the Andes, better-dated and higher resolution environmental datasets are required. How did Homo sapiens become a ‘generalist specialist’? Dr Brian Stewart, from the Department of Archaeology at the University of Michigan, thinks that this new niche was carved out through extensive cooperation between non-kin individuals. He writes: “Non-kin food sharing, long-distance exchange, and ritual relationships would have allowed populations to ‘reflexively’ adapt to local climatic and environmental fluctuations, and outcompete and replace other hominin species.” It comes down to empathy, as well as an ability to accumulate and pass on cultural knowledge.